Founded in 1983, a modern Australian approach to luxury, Oroton has been synonymous with the product of highest quality and became iconic in sixties and seventies for popularising gold and silver metallic mesh women's accessories. 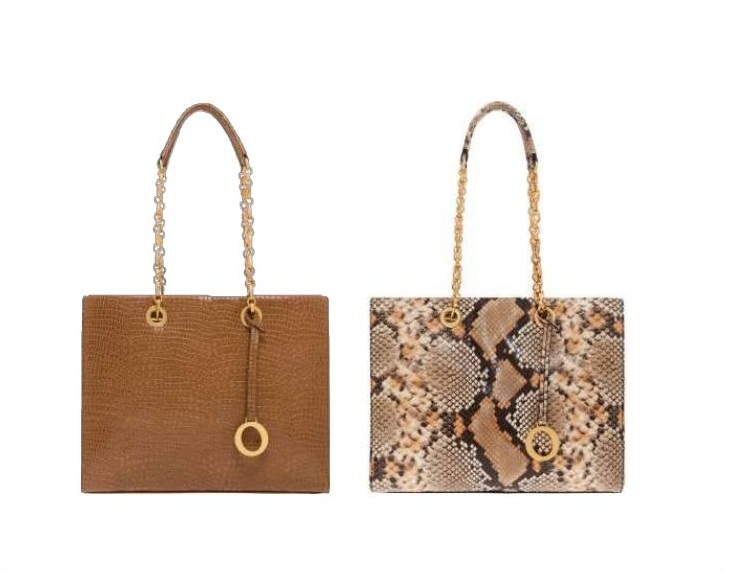 Following the success of Oroton’s luxurious Alpine Chain in real crocodile skin, the label debuts an accessible collection of snake and crocodile-look embossed leather bags, for the woman who wants affordable luxury. Debuting for spring/summer 2016, the colour palette echoes the opulence of the look that only exotic skins can give. The discerning will note the outward appearance of crocodile and snake is underscored with real glazed calf leather and gold chain handles and hardware. These are the new power pieces.